Each and every Marlow Explorer is built with the quality and care you would find in a completely custom yacht. We create an interactive experience for our customers and encourage your input so that the final product is an expression of your dreams. 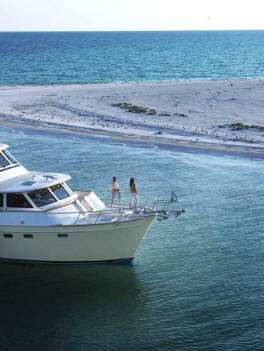 Marlow Explorers are beautifully detailed and exceptionally built raised pilothouse yachts. With models from 49' to 97', nearly every configuration for accommodations has been drawn and built. The common thread that runs through the design of this premier line of yachts is integrity with style. All models share the raised pilothouse design with a covered aft deck leading into a spacious saloon featuring a myriad of layout options. Depending on the size range you select, you may choose a dining room, a library or a bar with bar stools, with or without a private entry to the master stateroom. Two steps up from the saloon, the pilothouse features the gourmet galley, the dining settee and a very spacious helm area. In the Command Bridge models that feature an enclosed flybridge area, the entire pilothouse is devoted to the galley and dining settee for a luxuriously spacious area. The natural marbles and granites used in the galley enhance the luxurious feeling of the boat while offering a carefree work surface. The Sub-Zero refrigerator and freezer drawers and Fisher-Paykel dishwasher drawers, options every owner so far have selected, are finished as cabinetry and disappear as appliances yet offer the service and prestige of the top of the line equipment. Models 49, 53, 58 & 62 have two or three staterooms and two spacious heads. Models 66, 74, 80 & 88 have three or four lower deck staterooms with 3 full luxurious heads with the addition of a large crew quarters aft. The 97E has the luxury of space allowing for 6-7 large staterooms, including 2 VIP suites, in addition to the crew quarters. 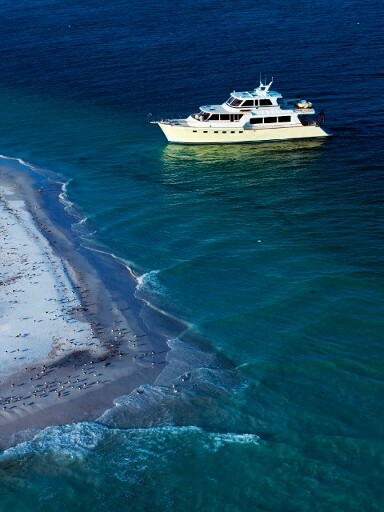 The master staterooms have king size island beds and a full head with optional bathtub or shower or vanity plus an additional separate shower and sink providing a convenient his and hers arrangement. The VIP stateroom features a king sized island bed and full stall shower head. The second guest stateroom has upper and lower berths and a full stall shower head in the 62-80 models. All stateroom closets are lined with aromatic cedar as are other storage areas throughout the yacht. A crew's quarters is a well used option and is located under the aft deck. To see more of our fine details, click here. We invite you to use the links below to look at more specific information and photos for each of our current models. 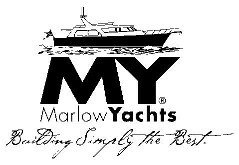 Marlow Yachts continue to hold their value as well as their beauty. We will always support every yacht we build and we strongly advise you to come to us for OEM parts and products to maintain the integrity, longevity and value of your yacht. We welcome all inquires and requests and do our best to work with you to provide whatever is necessary. The links below are for previous models still standing proud at docks and on the seas around the world.